Treasure Adventure World has just received an updated release date, and it will be here in a few weeks! The game is coming to PC via Steam, GOG, and Humble Store on February 7, 2018. In 2011, Robit Studios released a freeware game called Treasure Adventure Game, an action adventure title with a large open world to explore, creatures to kill, puzzles to solve, and treasures to find. The game took Stephen Orlando about 3 years to create. Now, he he's back with a vastly expanded version of the game called Treasure Adventure World which features new content, new music, and a new visual style. 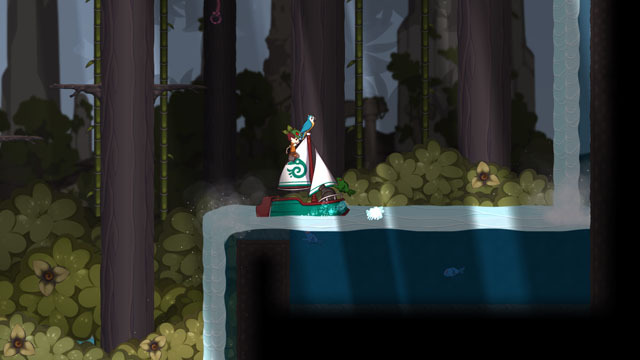 The player controls an adventurer who sets out with his parrot to traverse a number of islands – to which he sails in a magical shrinking/growing boat that fits in his pocket when not in use – speaking to NPCs and embarking on various quests, slowly opening up the world Metroidvania-style as new abilities and equipment are earned, such as digging down through piles of dirt that block certain passages.